Greetings again from the darkness. It was a good news – bad news kind of day for westerns. First, it’s announced that Mel Gibson will direct a remake of Sam Peckinpah’s 1969 classic THE WILD BUNCH. Talk about an undesired and unnecessary project! Fortunately, the movie gods understood this gut-punch and as a peace offering, delivered this near-masterpiece that doesn’t so much re-invent the Western, but rather provides a tonal and stylistic twist to the genre. This is the first English language project from writer/director Jacques Audiard, who has previously delivered such powerful and well-crafted films as A PROPHET (2009), RUST AND BONE (2012), and DHEEPAN (2015). Based on the Patrick DeWitt novel, with a screenplay from Mr. Audiard and his frequent collaborator Thomas Bidegain, this latest is a very unusual film that teeters on satire at times, but is simply too bleak to be a comedy – although it’s too darn funny to be an outright drama. A terrific opening sequence in 1851 Oregon features a nighttime shootout that sets the stage both visually and tonally for what we will experience for the next couple of hours. 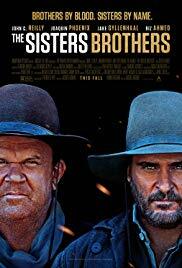 It’s beautifully shot and there is some misdirection on what exactly the Sisters brothers are made of. John C. Reilly is absolutely wonderful as Eli Sisters, the soulful forward-thinking one who also has a dash of goofiness to him. His younger brother Charlie Sisters, played by Joaquin Phoenix, is the slightly unhinged one who frequently follows in his hated father’s footsteps by drinking heavily. Charlie is alternatingly quietly menacing and drunkenly menacing. The two brothers are hired assassins, and while Eli dreams of a peaceful retirement, Charlie can’t imagine not doing what they do. The brothers have been contracted by ‘The Commodore’, a rarely seen power broker played in brief glimpses by the great Rutger Hauer. They are to meet up with advance scout John Morris (played by Jake Gyllenhaal with a quasi-British accent) and kill Hermann Kermit Warm (Riz Ahmed), who has supposedly stolen from The Commodore. Of course, there is more to the story. Warm has actually developed a chemical compound that allows for the easy gathering of gold from waterways – remember this is the height of the Gold Rush. This is kind of a road trip film … only it’s on a horse trail from Oregon to San Francisco, and it’s kind of a buddy film … only it’s two brothers. Along the way, bonds are forged and broken, and paths are crossed with a kind-hearted saloon gal (Allison Tolman), a greedy town lord (trans actor Rebecca Root), and the brothers’ mother played by the always interesting Carol Kane. There is also a cringe-inducing run-in with a spider, an unfortunate end for a favorite horse, and the hilarious first use of a toothbrush. There is also a Dallas joke that drew quite the laughter from my Dallas audience. 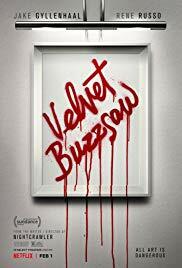 It’s such an unusual film, and it’s presented with a non-traditional pace and rhythm. The moments of laughter surround a core with a dramatic story of destiny, the meaning of life, dreams and visions, and the greed of man. All of this is set to yet another terrific score from Alexandre Desplat and the visually striking photography of Benoit Debie. Director Audiard has delivered a bleak comedy or a comical drama, and he’s done so with more than a fair share of violence. Whether you consider yourself a fan of westerns or not, this one deserves a look. Greetings again from the darkness. There is a fine line between getting chewed out by your Costco supervisor one day and having the country claim you as a hero the next. Just ask Jeff Bauman. On April 15, 2013 Jeff was near the finish line for the Boston Marathon, holding a handmade sign in support of his runner-girlfriend Erin. When she was still about a mile away, the two bombs went off, killing three people and injuring hundreds. Mr. Bauman lost his legs that day. When Jeff regained consciousness in the hospital (after two surgeries), he was able to provide the FBI a detailed physical description of one of the bombers. His information led directly to the identification of one of the scumbag brothers responsible for this atrocity. Immediately, Jeff was hailed as a hero – both locally and nationally. The film does a nice job of telling Jeff’s story and how his life unfolded over the next few months. Director David Gordon Green is responsible for such disparate film projects as OUR BRAND IS CRISIS, MANGLEHORN, and PINEAPPLE EXPRESS. He may seem an odd choice to adapt the film from the book by Jeff Bauman and Bret Witter (screenplay by John Pollono), but the story is so moving and heart-warming, and the three lead actors are so good that we immediately connect with each of them. Jake Gyllenhaal plays Jeff, Tatiana Maslany (“Orphan Black”) plays Erin, and Miranda Richardson tears up the screen as Jeff’s mother, Patty. Mr. Gyllenhaal is remarkable (as usual) as the working class local boy who truly believes his lucky seat and beer determine success or failure for his beloved Bruins and Red Sox. His initial portrayal is spot on for the normal guy who seems caught in the web of eternal teenage mentality so common in the male species. As he struggles with his new life challenges, he strives to do better, but simply doesn’t understand why he is viewed as a hero … and doesn’t particularly embrace what comes with the label, at least early on. Ms. Maslany is terrific as the guilt-ridden, confused-yet-strong, on-again-off-again girlfriend to Jeff. She fights through being treated as an outsider by the family, and the daily grind of caring for a guy who needs constant help. The twice Oscar nominated Miranda Richardson is unlike we have ever seen her on screen. Despite being a Brit, Ms. Richardson captures the Boston sauciness (in more ways than one) and takes no ‘stuff’ from anyone. Her performance is stunning. Of course, at its core, this is an inspirational story about how a normal guy became a hero after a tragic event. The recent Mark Wahlberg film PATRIOTS DAY focused on the aftermath and investigation, while here the attention is on the emotional story of one man and one family. We see the recreation of the flag-waving at the Boston Bruins game, and the ceremonial first pitch at Fenway Park. We also see the obstacles faced when rehabilitation and care-giving becomes too much to bear. Carlos Arredondo and his cowboy hat and heroics are also given much-deserved space here. His back story is heart-breaking, and a reminder that everyone has a story, and each of us can be a hero in some way. Since life isn’t a movie, the realities are that Jeff and Erin have since divorced, but that in no way reduces the impact of their touching story that inspires each of us to be stronger. Greetings again from the darkness. First rule of Write Club … ABC. Always Bring Conflict. Alright, so I blended famous lines from a couple of movies there, but the point is a good script inevitably has conflict throughout. Director Tom Ford (A Single Man, 2009) adapted the screenplay from Austin Wright’s novel “Tony and Susan”, and while significant conflicts abound, it’s the multiple and vivid contrasts that take this one to the next level. Director Ford jolts us with one of the most unique and unwelcome opening scenes ever as the credits flash by. A high gloss art gallery is the setting for a combination of video/performance art taking place that could only be appreciated by those with very specific tastes … those who favor obese naked dancing ladies. Extremely obese and absolutely naked. It’s not the last time we as viewers will be uncomfortable, but it is the last time we will chuckle (even if it is awkwardly). 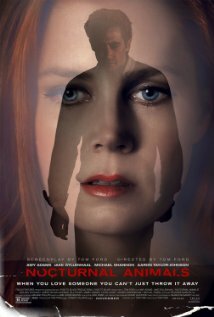 The curator of the art gallery is Susan, played by the always excellent Amy Adams. She lives in a stunning, ultra-contemporary mansion with her picturesque husband played by Armie Hammer. Their relationship is apparently as cold as his business, resulting in an empty relationship and the need to maintain the façade with their friends while quietly selling off assets to buy time. On the day that he leaves on a “business trip”, she receives a package containing a galley of her ex-husband Edward’s (Jake Gyllenhaal) first novel … some interesting reading during her time alone. A creative story structure has Susan reading the book (dedicated to her) in bed while we “see” what she’s reading/envisioning. The story starts out as just another road trip for a husband (Gyllenhaal in a dual role), wife (Isla Fisher) and their teenage daughter (Ellie Bamber). However, on the desolate back roads of west Texas things get intense – almost unbearably so. The young family is terrorized by a trio of rednecks led by sociopath Ray Marcus (played by Aaron Taylor-Johnson in what is head and shoulders above anything he’s done to date). What follows is the fear of every man … unable to protect his family, and every woman … being abducted. Thanks to flashbacks and some simple inferences, we soon realize the novel is corresponding to Susan and Edward’s past relationship, as well as Susan’s current situation. The previously mentioned contrasts really kick into gear. It’s the past versus the present, west Texas tumbleweeds versus the sleek and glamorous art world, Susan’s first artsy husband versus her new ideal one, young Susan versus current Susan, the physical beauty of those in Susan’s world versus the grit and ugliness of the novel, and finally, reality vs what’s not real. The revenge-thriller portion of the novel makes for fascinating story-telling, and we get drawn in fully once Michael Shannon (playing a west Texas detective) arrives on the screen. Always one to disappear into his role, this may be Mr. Shannon’s best yet. Though he doesn’t have significant screen time, we are mesmerized by him during his scenes. He and Gyllenhaal are terrific together. Also appearing in supporting roles are Michael Sheen, Andrea Riseborough, Jena Malone, and a chilling scene from Laura Linney as Susan’s high society mother. The two parts of the film play off each other like Brian DePalma against Sergio Leone. Slick against dusty … but of course, there is misery and disappointment and deceit in each. 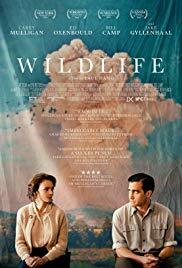 The cinematography (2 time Oscar nominee Seamus McGarvey) and editing (Joan Sobel) are superb and complemented by a spot on score from composer Abel Korzeniowski (a mixture of Bernard Hermann and Basic Instinct). The ending may frustrate some (not me) and though it may not find a huge audience, a loyal fan base is quite likely. Greetings again from the darkness. Is it possible to have a boxing movie without a crusty old trainer? Or a cute kid? Or a stubborn macho lead who makes poor personal choices? It doesn’t seem to matter much as this latest from director Antoine Fuqua (Training Day) checks off most of the expected cliché’s, and still slides easily into the canon of boxing movies that now covers nine decades. This one packs a satisfactory punch both inside the ring and out. 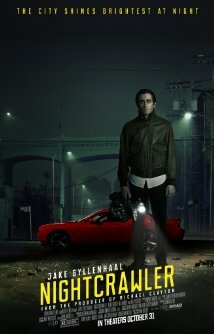 Jake Gyllenhaal stars as Billy Hope (the name courtesy of first time screenwriter Kurt Sutter, known for “Sons of Anarchy”). Mr. Hope follows the expected arc: 1. On top of the World! 2. A nasty crash landing 3. Redemption and comeback. However, just because we are familiar with the trail, doesn’t mean we can’t enjoy the hike. Gyllenhaal continues his impressive string of performances that include End of Watch, Prisoners, and Nightcrawler. In the latter, he transformed his body by losing 40 pounds. This time, he packs on the muscle to become convincing as a boxer. The recent trend of actors getting fat, skinny, ripped or ugly to attract awards attention is nothing new to Gyllenhaal, who has made a career of melding into his roles. The supporting cast includes Rachel McAdams as Hope’s wife. The two share a background as orphans in Hell’s Kitchen and have a strong relationship with each other and their young daughter played by Oona Laurence. Curtis “50 Cent” Jackson plays Hope’s long-time manager who telegraphs his true colors much too early (and no, this doesn’t refer to the recent news involving Mr. Jackson). Naomie Harris is a bit underutilized as the social worker, but the film is at its best once Forest Whitaker enters as Hope’s last hope (sorry). Mr. Whitaker always elevates a film with his presence, and his character here would have provided a boost with even more screen time. A few topics are touched upon, though none very deeply. The father-daughter story line was pretty effective, but the anger management issue could have been explored more effectively since it was so crucial to the story and Hope’s personality. Eminem provides some new music for the film, and it should be noted that this was the final score composed by the great James Horner, who only recently passed away. Sure the film “borrows” from Rocky and Raging Bull and many other boxing classics, but at least it doesn’t go full “Champ” on us. Greetings again from the darkness. Many of us still catch ourselves asking “Why is this news?” while watching the local newscasts. We ask this despite knowing sensationalist journalism is the way of the world, and writer/director Dan Gilroy reminds us (in a rare comedy-thriller) … if it bleeds, it leads. Jake Gyllenhaal continues his progression as one of the most fascinating actors working today. Here he plays Lou Bloom, a fast-talking, self-help studying, ultra-charming sociopath, with creepy bug eyes (thanks to a 20-25 lb weight loss) and an even creepier grin. Mr Gyllenhaal nails the role in a way that reminds of Travis Bickle of Taxi Driver (Robert DeNiro was 33 at the time – the same age as Jake now). Three other movies came to mind while watching this: Network (the lack of a conscience approach to ratings), Drive (the stylistic camera work and loner lead character), and Body Double (a fascinating Brian DePalma film from years ago). Rene Russo is the veteran news woman who encourages and enables the Bloom character to use his “good eye” to pursue the money shots … defined as anything that strikes fear into the suburban world. Gyllenhaal is all in for his role as Bloom. Nightcrawling is the label given to stringers (private cameramen) who compete for the video that will lead the newscasts. Bloom’s google-based training has turned him into a Tony Robbins type who blows through dialogue at a speed every bit as fast as he drives his red Dodge Challenger to the next tragedy. Bloom is the epitome of charm in the wrong hands. Think Ted Bundy with a camera. While Bundy actually committed the murders, Bloom blurs the line between recorder of history and influencing the criminal action. He also delivers one of the first on screen ‘chasing a car chase’ scenes. This is Dan Gilroy’s directorial debut, though he has written over films, including The Bourne Legacy, which was directed by his brother Tony. Dan also wrote my of my favorite rarely seen films entitled The Fall (2006). Dan Gilroy is married to Rene Russo, and her calm, yet equally sleazy, presence works well with the quirky, in-your-face Gyllenhaal character. Cinematographer Robert Elswit (known for his work with Paul Thomas Anderson) beautifully captures the nighttime energy of Los Angeles, as well as the brutal and savage crime scenes. Gyllenhaal is the real deal here, and somehow makes this frightening monster believable as a guy who could walk amongst us every day (or night). Early on in the film, his character is asking for a job and spouts off a line that includes a bit about being “raised in the self-esteem movement so popular in schools“. It’s our first glimpse of his psychosis which is also grounded in reality.